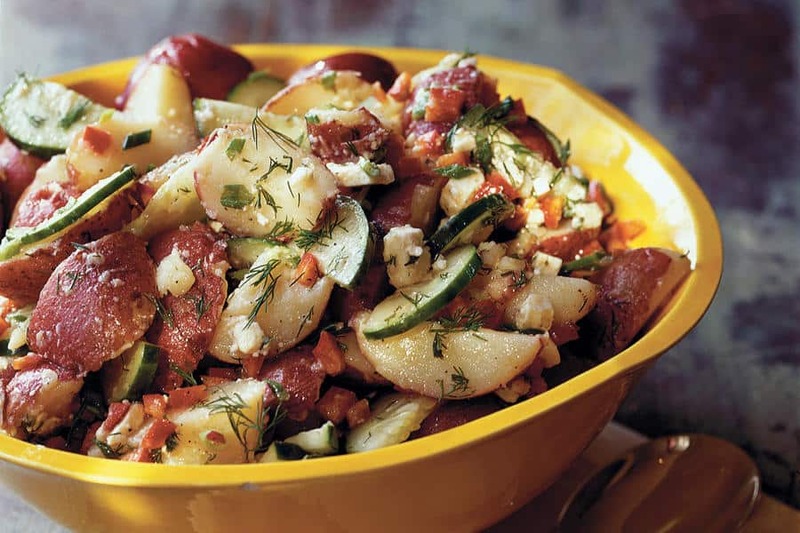 Summers are synonymous with baseball, hamburgers, apple pie… and potato salad. And every cook, it seems, has their own recipe, their own twist on the classic. Just in my family alone there are several varieties. I’m sure there are in yours too. 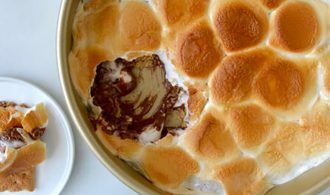 We’ve compiled seven recipes from notable chefs and publications you will want to consider and try for your next holiday, picnic, barbecue or whatever kind of day. I can’t imagine a summer without potato salad. 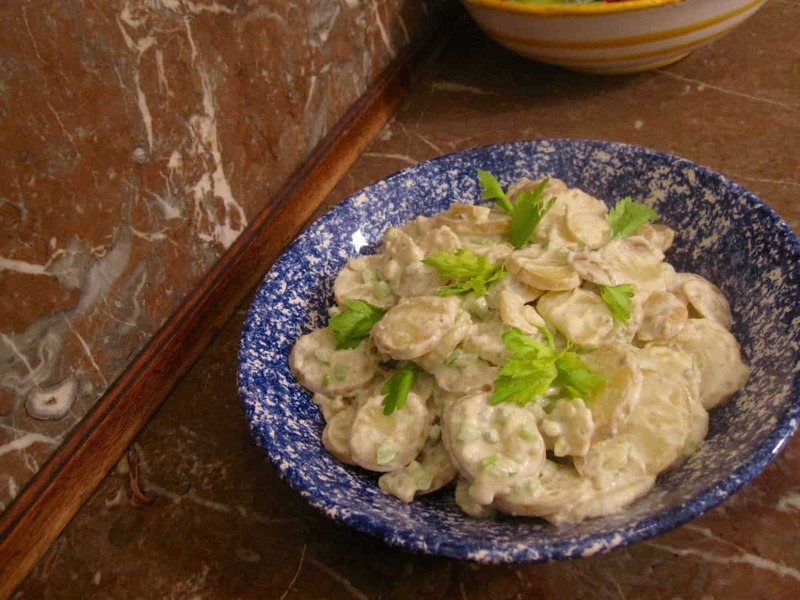 My maternal grandmother, who was German, made the most divine potato salad. 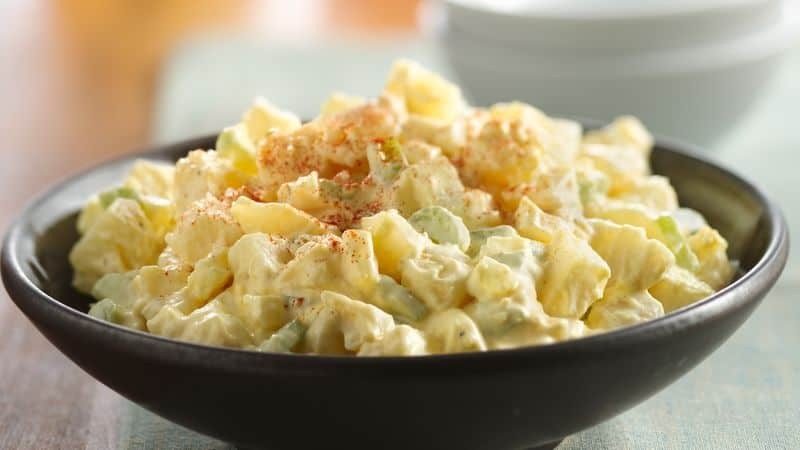 Every summer celebration, from Memorial Day through Labor Day, and every picnic, we could count on her family-favorite potato salad. My mom’s salad was just as good but had its own twist. And to this day, every summer, one of us is begging her to make it. I love that about potato salads. It’s so much more than the salad or even the taste. 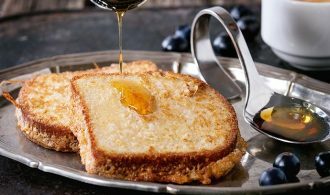 It’s memories and remembrances all wrapped up in creamy goodness, texture, and flavor. Completely customizable to taste and culinary background. 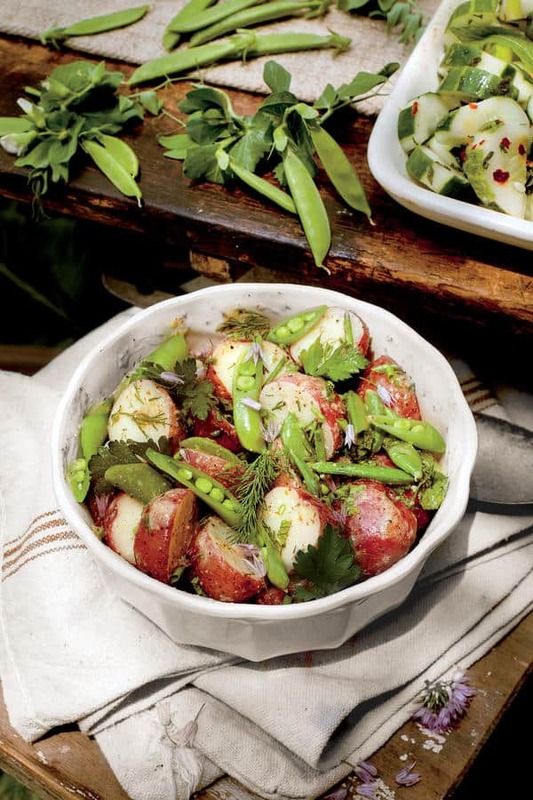 Chunks of fork-tender potatoes, well-seasoned and tossed with some crunchy veggies are truly summertime delights. 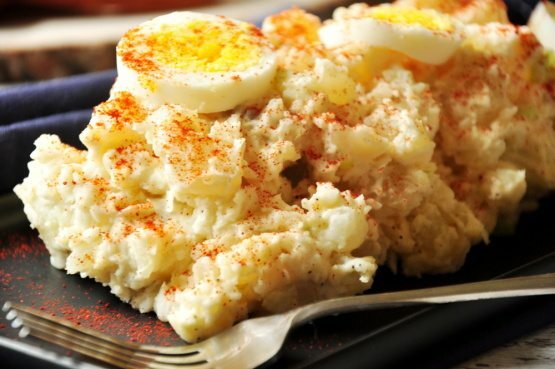 However, to make a really great potato salad, there are 5 mistakes you will want to avoid. Be sure to read these at the end of this post. 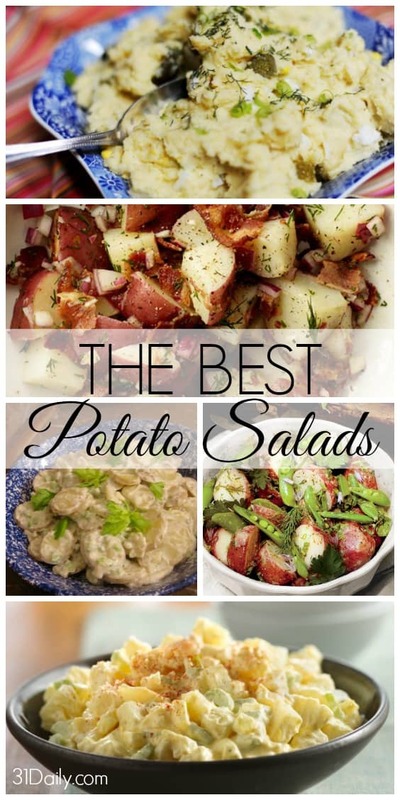 Here are some scrumptious potato salad recipes you’ll want to make your own. 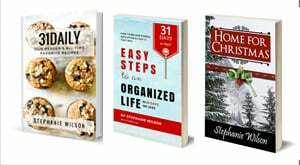 If you have a favorite recipe, I’d love to hear about it in the comments below! Combining the flavors from favored Buffalo Chicken, Sara Moulton creates a creamy potato salad with unexpected but delicious flavors. Get the recipe at Wisconsin State Journal. 1. Using the wrong type of potatoes. 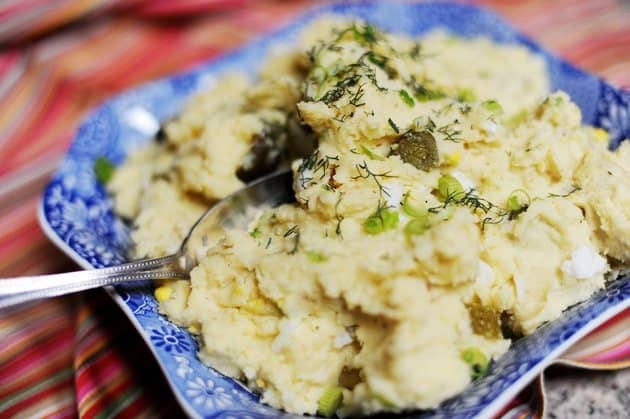 Not all potatoes are created equal when it comes to potato salad. Potatoes are divided into three general categories based on their texture — starchy, all-purpose, and waxy. 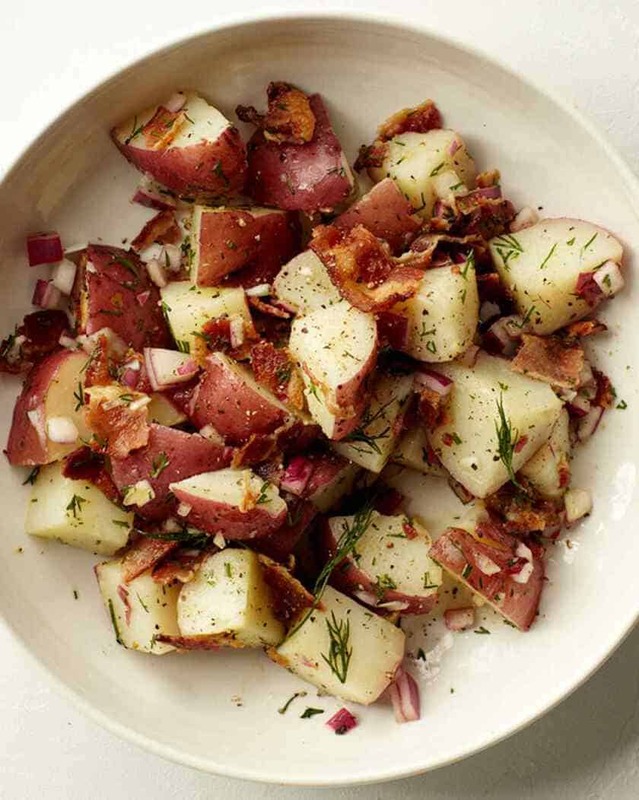 For this dish, avoid using starchy potatoes, like Russets, which have a tendency to fall apart during cooking. 2. Not starting the potatoes in cold water. When we cook veggies, we often start them in boiling water, but this shouldn’t be the case with potatoes. The biggest problem with starting potatoes in boiling water is uneven cooking. This leads the outside of the potato being overcooked and mushy, while the inside is undercooked. 3. Not seasoning the water when cooking the potatoes. A good potato salad has to be seasoned, especially if it’s being served cold. You’ll never get as much flavor if you wait to season when the potatoes are cool or when you’re dressing the salad. The key is seasoning as soon as possible. 4. Undercooking or overcooking the potatoes. Potatoes are the main ingredient, so it’s essential that they’re cooked just right. Don’t let them cook long enough, and you’ll be left with firm, crunchy potatoes — not a texture potatoes should ever take on in this dish. Cook them too long, and you’ll have mushy potatoes. 5. Not dressing the potatoes at the right time. The type of dressing you plan to use, mayo-based dressing or vinaigrette, will determine when the salad should be dressed. When using vinaigrette, don’t let the potatoes cool before dressing them. And when making a mayonnaise-based potato salad, stay away from dressing warm potatoes. The hot potatoes will cause the mayonnaise to melt and become oily. For additional tips, visit the Kitchn.